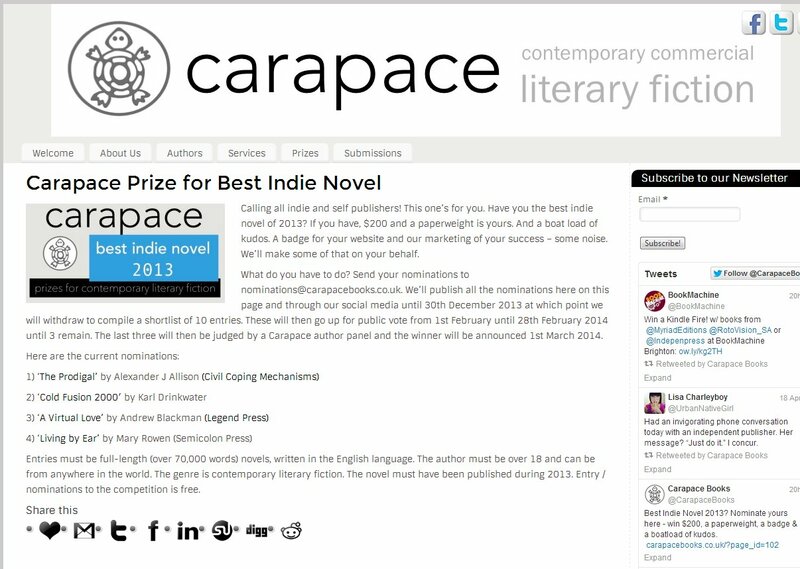 I found out the other day that Cold Fusion 2000 has been nominated for the 2013 Carapace Prize for Best Indie Novel. 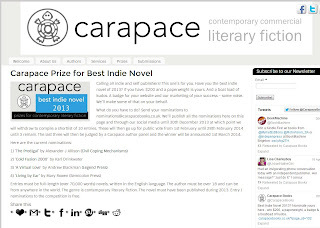 It was a complete surprise to me, and left me grinning like a Neoclinus blanchardi. 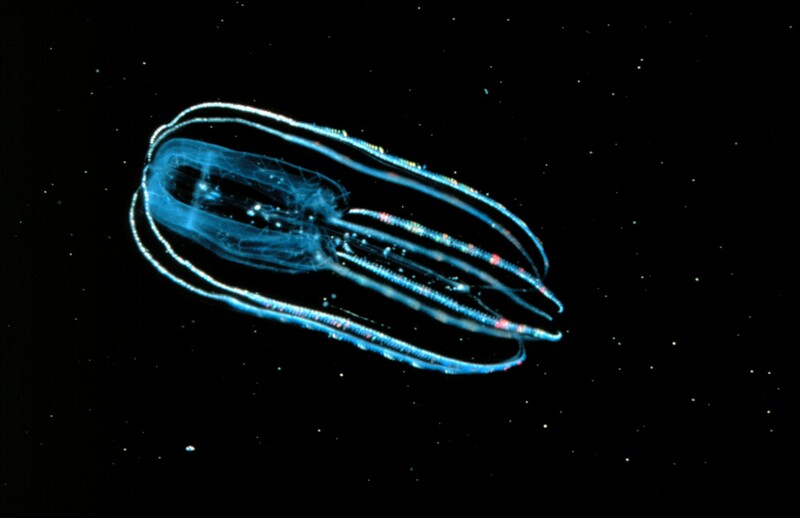 At that time I was one of three nominees - now there are four, and the list is sure to grow, but knowing I was one of the earliest to be included makes me glow like a Lobate ctenophore. PS Don't worry, I am human. Just.